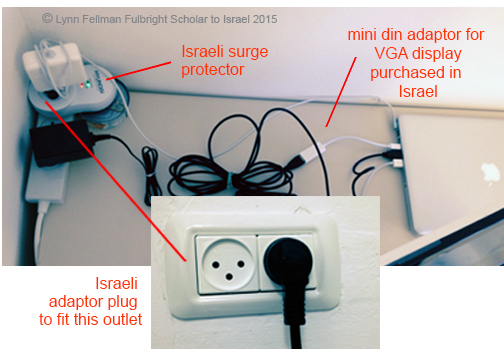 I schlepped my multimedia studio from Washington D.C. to my apartment in Be’er Sheva intact without a scratch. 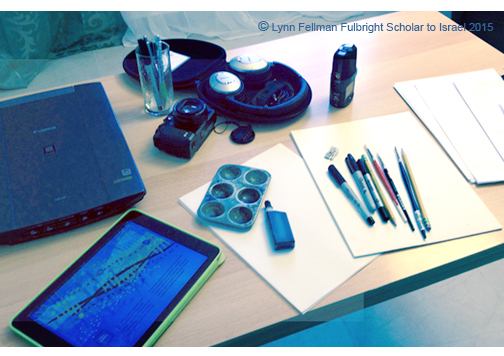 See my new, super flat scanner in the upper left with iPad, camera, headphones, microphone, ink, pencils and paper. Not in the picture are my laptop, mini backup drive and all the cables, cords and batteries. Now that wasn’t too much to pack, was it? What about the human who works the machines? A trip to the market is next to find out if my biology is adaptable, too. Click on the “Fulbright Award” category on the right for future posts about my travels in Israel and research at Ben-Gurion University.